Shares of Jet Airways fell as much as 6.3 per cent to Rs 210.15 apiece on the NSE after the company on Wednesday said seven more aircraft have been grounded due to non-payment of lease rentals. Shares of Jet Airways fell as much as 6.3 per cent to Rs 210.15 apiece on the National Stock Exchange (NSE) after the company on Wednesday said seven more aircraft have been grounded due to non-payment of lease rentals. The stock, however, recovered losses and ended nearly 2 per cent higher at Rs 228 levels on the NSE. In comparison, the Nifty50 closed 0.1 per cent lower at 10,792 levels. "An additional seven aircraft have been grounded due to non-payment of amounts outstanding to lessors under their respective lease agreements. As mentioned earlier, the company is actively engaged with all its aircraft lessors and regularly provides them with updates on the efforts undertaken by the company to improve its liquidity", the company said in a press release. Aircraft lessors have been supportive of the company's efforts in this regard. The company is also making all efforts to minimize disruption to its network due to the above and is proactively informing and re-accommodating its affected guests. The company also continues to provide required and periodic updates to the Directorate General of Civil Aviation in this regard, it added. With debts of more than $1 billion, Jet has defaulted on loans and has not paid pilots, leasing firms and suppliers for months. The loss-making Indian airline approved a rescue deal in mid-February after months of talks to plug an Rs 8500 crore ($1.2 billion) funding hole. 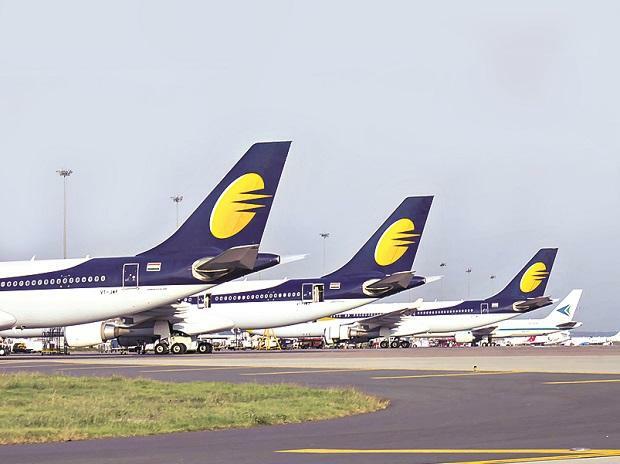 The plan, which has also been approved by Jet shareholders, includes selling a majority stake to a consortium led by State Bank of India, the airline's biggest creditor, at 1 rupee.